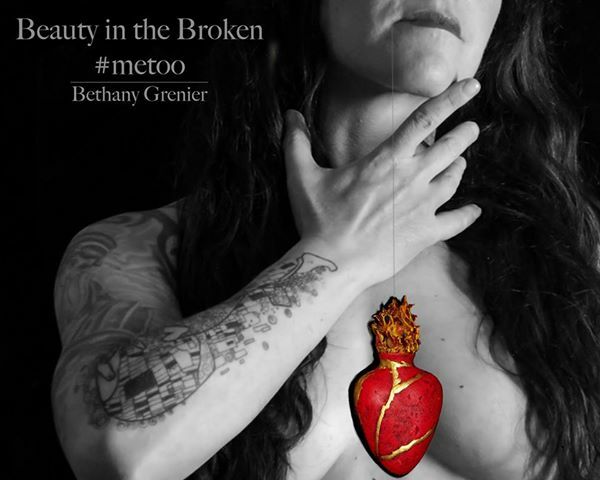 "Beauty in the Broken" by Bethany Grenier. 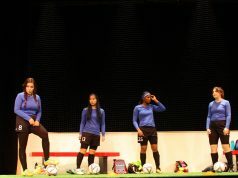 Photo courtesy of Bethany Grenier. Bethany Grenier, 48, from Muskegon, entered artwork this year that has a very deep meaning to it in ArtPrize 10. Grenier has been making artwork for over 30 years and has experience with many different art forms and mediums. Most recently, she has been working with sculpture and painting. She says that the photogenic aspect of her piece is newer to her. She started this piece in late February to early March and took hundreds of hours to complete. Her artwork consists of photos of women and sculptures of hearts. The artwork is displayed in the Nomad Gallery downtown Grand Rapids. A smaller version of her artwork is also displayed at The Bitter End, a coffee shop off Fulton street. “My main focus as an artist is working with archetypal imagery, it so easily speaks to the heart of human experience,” Grenier said. So many women deal with the repercussions of sexual assault and this piece of art is a representation of not only telling them they aren’t alone but to stay strong and to not let what happened to them change or define them.